Used Alfa Romeo GT Review - 2004-2011 | What Car? 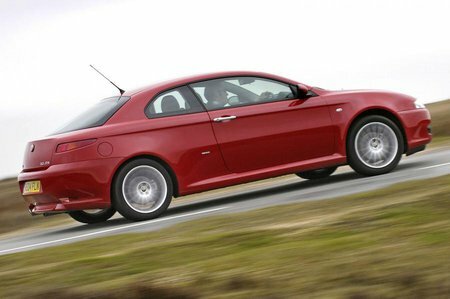 Which used Alfa Romeo GT coupe should I buy? A diesel engine may sound at odds with the image of a svelte coupe like the Alfa Romeo GT, but the 1.9 JTD is the pick of the engines available in this handsome car. With 150bhp and 225lb ft of pull, the JTD model gives little away in performance to the petrol-powered 2.0 JTS version. As all GTs share the same trim level and equipment, just about the only decision you have to make is what engine to have. If you don't fancy the diesel, the 2.0 JTS is a good bet, as it happily zings away when asked to perform, yet won't break the bank on economy. While you'll soon see hefty fuel bills if you use the full potential of the 3.2 V6, some may think that's a small price to pay for the splendid noise it makes.